U18s pre-season training will commence for the Season 2011. 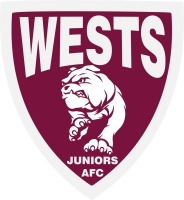 Training will be at Wests Juniors (Oakman Park) on Mondays at 6pm and Fridays at 6pm. Please bring runners only at this stage and don’t worry about footy boots. (the field gets used for cricket and can’t be chopped up). Training will be alongside the UQ Red Lions seniors squad who have already resumed their pre-season training. For those who aren’t aware, last year’s coach Rene Chaustowski was offered a career-advancing role in Canberra that he has accepted and will not be available to coach the U18s this year. Fortunately we have been able to secure a new coach for the U18s this season, Adam Fry who has just moved down from North Queensland and is doing a Sports Management course at Griffith Uni. Adam is a young coach who has come highly recommended to us and we look forward to welcoming him to the UQ Bulldogs. Please feel free to extend the invitation to friends who might like to play with the team this year. Please contact Andy Rosen ajrosen@bigpond.net.au with any queries.